Iron Man doesn't need to worry about things like the elements, because Jarvis kindly keeps the suit's core temperature at a comfortable setting no matter the climate. But when Tony Stark has to be a regular old billionaire walking around in the winter chill like the rest of us, what, do you suppose, does he choose to wear? 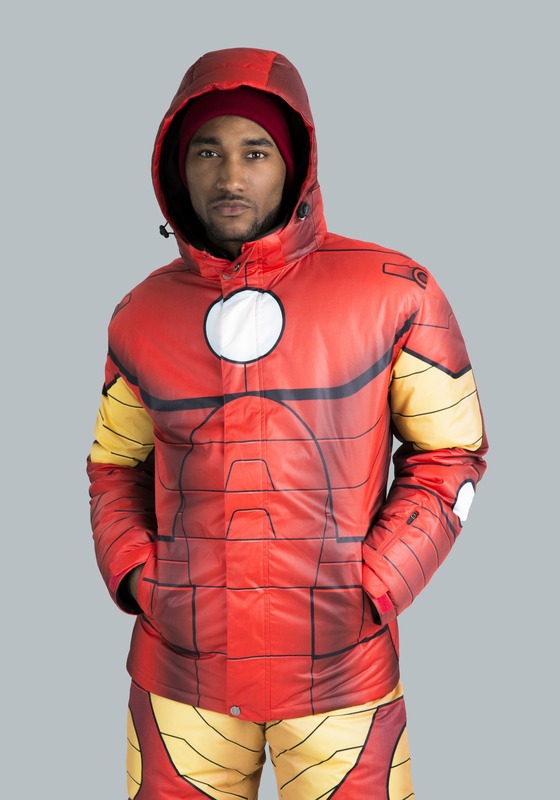 With their incredible intelligence, eye for design and infinite resources, Stark Industries has come up with the perfect solution for regular people to take on the cold with style. 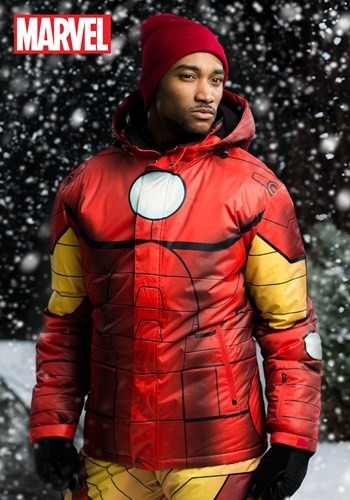 The latest in weather technology, this specially designed Iron Man snow jacket for adults has all the bells and whistles and incredible design that any Marvel fan would want. 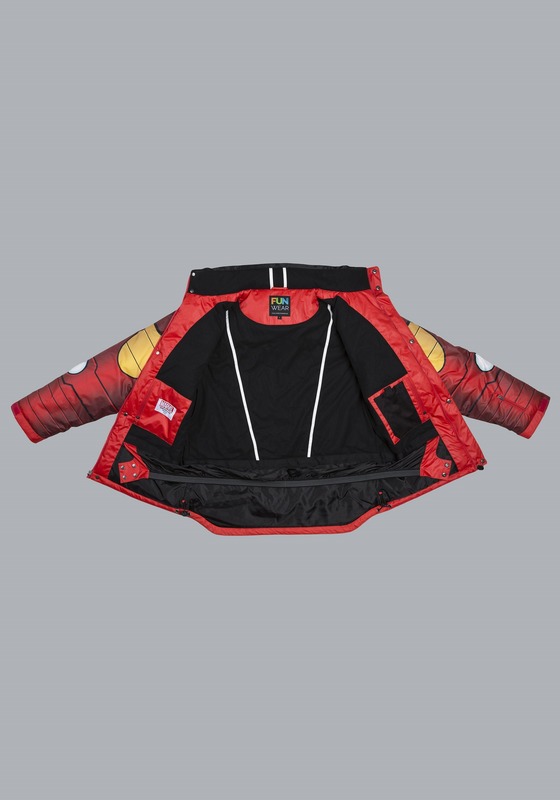 From our FUNwear line of gear, this snowboard jacket's design features the signature sublimated print of the Invincible Iron Man's iconic armor. Fleece lined with synthetic insulation, it's sure to keep you comfortable even when the temperature starts to dip. 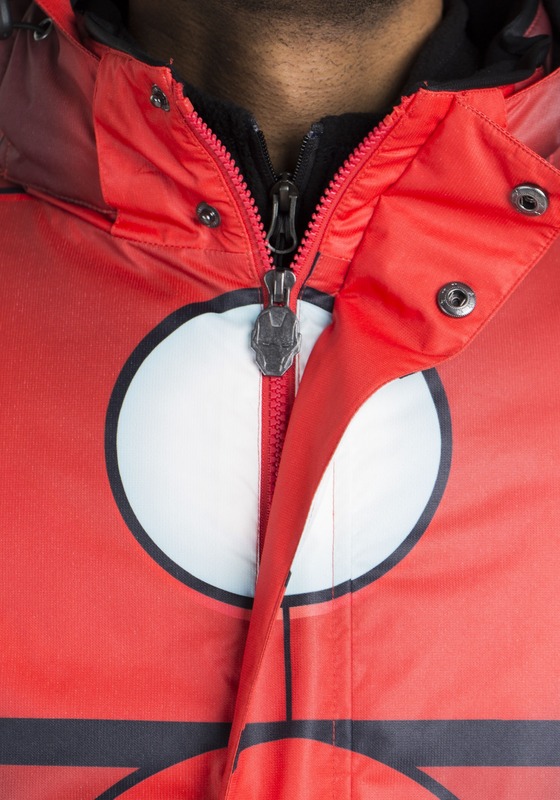 A signature logo debossed front zipper secures the coat, and with practical winter sports features like waterproof pull-down zippered pockets, adjustable ski skirt and wrist gaiters, there's not going to be any amount of snow that can stop you when you're suited up. 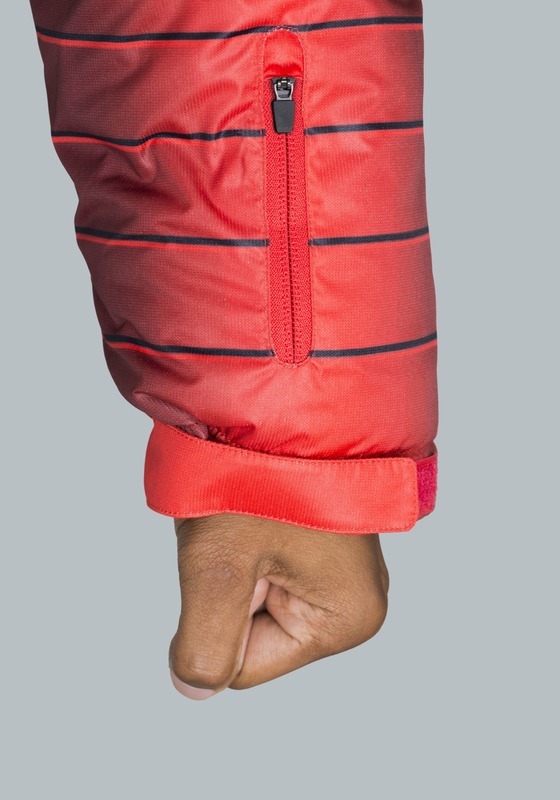 The unique design may just give you the confidence needed to finally conquer your black diamond nemesis out on the Aspen or Jackson Hole slopes, but it's equally suited for fighting the wind chill in the Windy City or an impending "Snowpocalyspe" hitting the Big Apple. 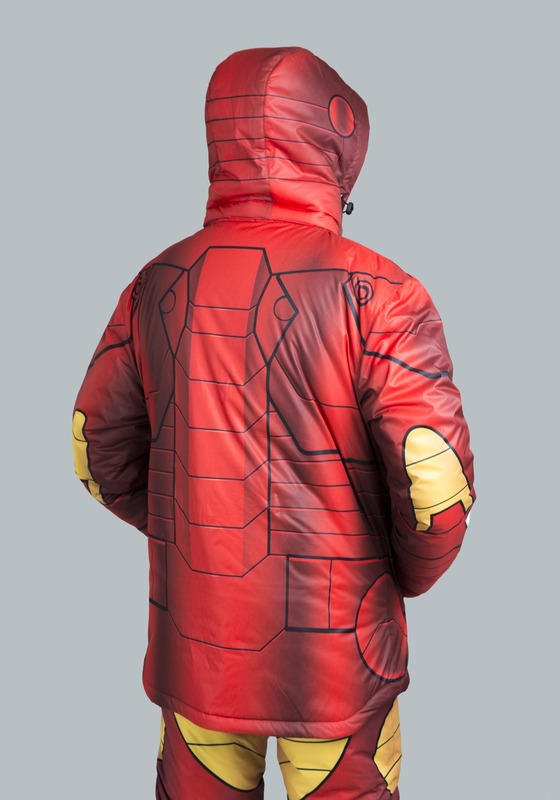 Whatever way you choose to wear it, this Iron Man ski coat will protect you from the elements—no Jarvis needed.